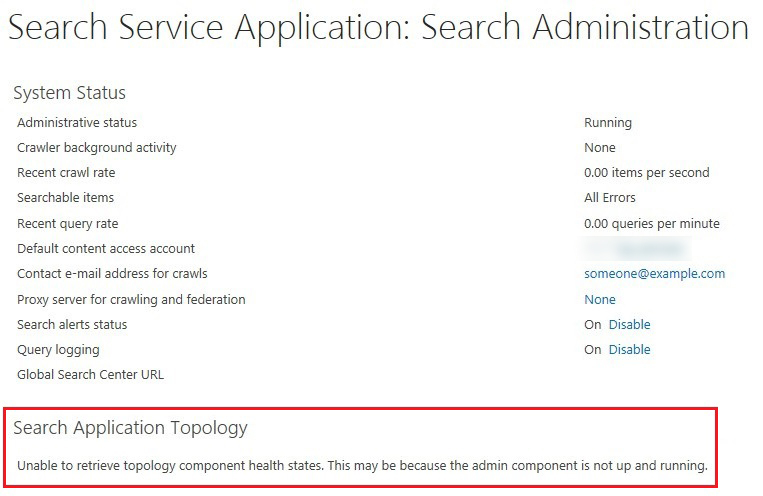 SharePoint 2013 Search service application displays the error message "Unable to retrieve topology component health states. This may be because the admin component is not up and running"
After making sure the account configured to run Search service & Search Service Host in Services console, (Service.msc), Provisioned the Usage Application Proxy with PowerShell. Open SharePoint 2013 Management Shell, and run these commands.